Tor Town Taxis you can rest assured that your journey will be smooth and stress free. We can provide both local and long distance transport. It is important that you have a professional, reliable and trustworthy hire service on your side to get you where you need to be. If you would like to know anymore about our services, please get in touch. 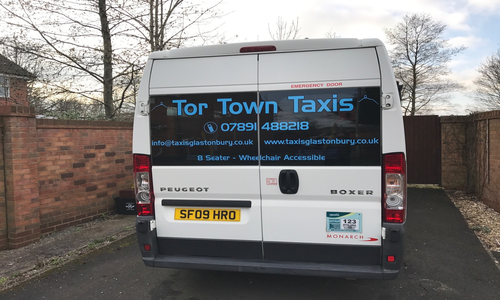 Whatever the destination you are trying to get to, you can make the journey comfortable and convenient with the help of our services at Tor Town Taxis of Glastonbury. If you would like to know anymore about our services, get in touch with us today via our Phone or form below. Whether you are going for a holiday abroad or attending a meeting in another city, Here at Tor Town Taxis we understand that it is important for you to reach the airport on time. That's why our airport transfer service is quick, dependable, punctual and affordable. We operate throughout Somerset and further afield.